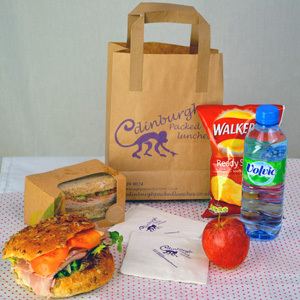 Lunch bags will be prepared according to type of client and length of time spent on the coach, but most will include a choice of the following. Can be delivered boxed if required. Please contact us to discuss menu and delivery/pick-up arrangements. Can be packed & delivered boxed with no bags if required.